Captain Kimo did some snorkeling today. 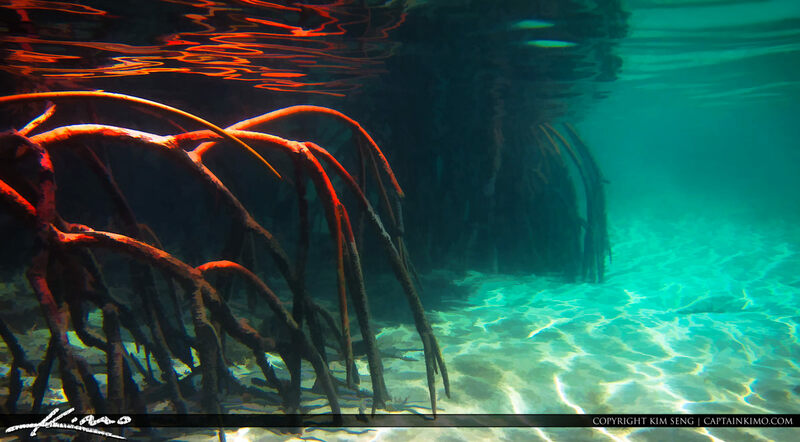 Here are some mangrove roots underwater at Jupiter, Florida. Photo taken with my Canon Powershot S90 using an underwater case. Single exposure HDR image processed in Photomatix and enhanced with Topaz.